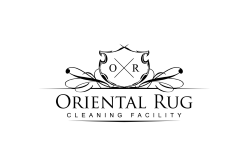 Our Oriental Rug Cleaning Plant in Tampa Fl offers a variety of services related to the washing of in home area rugs. Our facility also sells cut to fit rug padding. 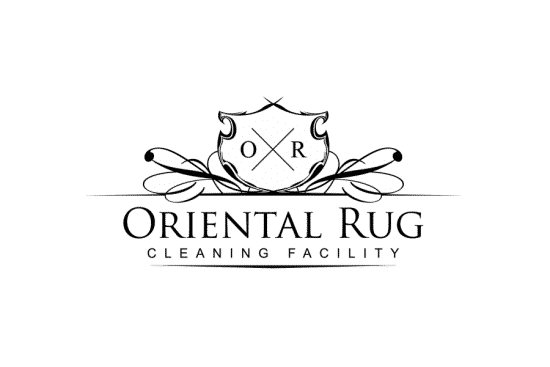 It is typically recommended to have your natural fiber Oriental area rugs professionally cleaned every one to three years. Each time you have your oriental area rugs cleaned, it is also recommended to have your pad replaced as well. Being that we keep padding in stock at our facility and it is a cut to fit padding, we make it a simple process to replace the padding when your rug is professionally serviced. Good rug padding can last several years when treated properly. If your Oriental area rugs are subjected to less wear and tear, and they are professionally cleaned every 3 years or so, good padding should get you through that time with no problem. Not all padding is equal though. If your current padding is of lesser quality, it can actually begin to show damage within the first year of use. There are a few signs that can be easily spotted and serve as indicators that it is time to change your area rug pad. Typically, visual wear indicators are the best way to determine that your area rug pad is worn out. Edge fraying, loose fibers on the floor next to the rug, or flat spot that give no support are all signs that your rug padding is worn to a point of needing replacement. Even with cheaper padding that wears a bit too quickly, it is still a good tell tale sign that it is time to have your rug professionally cleaned and your pad replaced. There are a few different types of area rug padding that fit a variety of needs and circumstances. Area rug padding can be made different ways and with a variety of materials. There are also many benefits to keeping a new pad under your beloved Oriental area rugs. Our professional rug technicians are trained, experienced and knowledgeable when it comes to all things rugs. 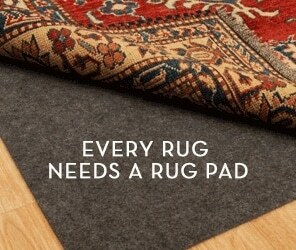 Our technicians are very friendly and are here to answer any rug padding questions you may have. Here is some information that may help you with your rug pad decisions. The easiest benefit to notice when using a rug pad is the extra cushioning it provides under the rug. Often, area rugs are laid out on hard surfaces such as tile or wood. Even a rug with a high pile will feel a bit uncomfortable when placed on a hard floor with no pad. Similar to the carpeting in your home, the padding underneath the rug creates a much more comfortable surface for walking, laying or sitting on. This layer of padding will also help with noise reduction. A high-end area rug laid out in your home is usually used as a decorative centerpiece in a particular room. Your rug may or may not have furniture placed on top of the area rug. Whether your area rug has furniture placed on top to help with bunching or slipping, or it is laid out without any weight on top, it is a great idea to add padding under your rug to help prevent these hazards. Due to the nature of their use, in home area rugs that are placed on hard surfaces are naturally susceptible to bunching, curling or slipping. A proper pad under your area rug will prevent these issues from occurring. A rug that slides or bunches creates plenty of opportunity for a slip and fall. Take the safe route and install a safe rug pad under your in home area rug. Most area rug padding is made in a way that will help to protect your flooring. The pad under your rug will create a safe buffer zone between your area rug and the floor underneath. This is a great way to save wood flooring from being effected by a liquid spill on your area rug. If there is a spill that is left on the rug long enough to seep through the backing, the pad will protect your floor from being damaged. There are also issues that can arise from natural wear of a rug that may not seem that obvious. Most natural fiber rugs will be crafted with tints and dyes, which over time can begin to wear off. These dyes and tints can actually transfer onto your flooring and cause permanent damage. Proper area rug padding will absorb this transfer and protect your floors. When purchasing padding for your in home Oriental Rug Tampa, you want to make sure you choose the right padding for your needs. There area three main types of rug padding that you would need to know about. Felt, Felt Rubber and Non Slip Rubber are made different ways to provide different advantages. Standard Non Slip rug padding is made up of all natural rubber. A good non-slip rug pad will not have any synthetic materials within, nor will it have any added coating. This padding is typically a low cost option that solely helps to eliminate bunching or slipping of lighter, smaller rugs. Felt padding is a thick, soft option that adds a layer of comfort as its main advantage. Felt does not grip well, so it cannot provide the stability needed to prevent slipping or bunching. This option is recommended for large, heavy rugs, as these types of rugs do not need as much help with stability as smaller rugs do. This padding provides comfort and protection for the flooring underneath your area rug. A combination of a felt surface and rubber backing makes Felt-Rubber padding the favorite amongst rug owners and professionals alike. This combination provides the stability of non-slip rubber padding with the comfort and protection of felt padding. Choosing a good Felt Rubber pad for your in home area rug will provide protection and comfort long enough to last between professional cleanings. The padding that we sell to our customers is the felt, rubber combination type. We offer only the highest of quality rug padding to help extend the life of your rug’s fibers, as well as provide a layer of comfort within your home. While our padding is a felt, rubber combination pad, it is a low, dense style. This more modern type of combination padding offers all of the benefits of the slippage or bunching resistance that rubber gives you, as well as the cushioning and protection felt padding gives you, but in a low profile, better looking layout. The padding my look thin, but the denseness of the high quality materials gives you all the benefits of area rug padding, but with an unnoticeable, sleek look! If you are still not too sure if our felt, rubber combination type of area rug padding is for you, do not hesitate to reach out to us with any of your questions or concerns. Just remember all the benefits this type of area rug padding provides for your fine area rugs, as well as your flooring. The felt, rubber combination area rug padding is a perfect fit for low or high pile, thick or thin pile natural or synthetic fiber area rugs. It is also perfect for a variety of flooring that the area rug would be laid out upon. This padding helps to protect and prevent slippage of your area rug on carpet, tile, wood or laminate flooring. Too many benefits to ignore! When it comes time to replace your rug pad, whether your rug is being professionally serviced or the pad is simply worn out, give us a shout. Our friendly and knowledgeable staff is here to answer any questions you may have and to help you make a proper rug padding choice!